The graph database industry is kind of exploding (as you likely already know if you’re reading this). The Neo4j community is rife with graph enthusiasts eager to share their knowledge gained from experiences with implementing graphs for a variety of use cases and across all types of production environments. At the same time, there are many engineers, data scientists, architects and researchers who are only beginning to hear rumblings of graph technology and the numerous benefits businesses across every industry are currently experiencing. There are countless stories to be told by graph database experts to an audience of budding graph database lovers – both parties are ready and willing to be acknowledged by each other. That’s why we’re launching the Neo4j Speaker Program. We wanted to create a program that fosters our thought leaders efforts to speak at relevant conferences around the globe. 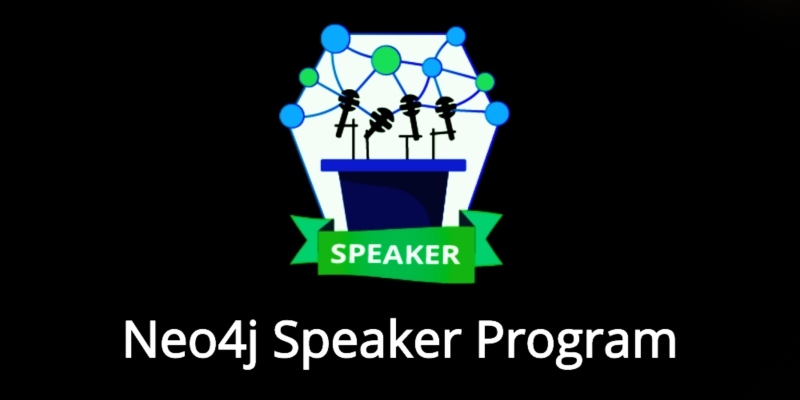 What is the Neo4j Speaker Program? Neo4j is hand-selecting a variety of technology and industry-focused conferences around the world for the program. If you submit a Neo4j-related talk to one of these conferences – and your talk is accepted – we will provide you with up to $1,000 in travel stipend. In other words, we will cover the cost of your travel, hotel accommodations and meals around your conference adventure! Every few weeks, we’ll send an email containing lists of upcoming conferences with open CFPs (“call-for-papers” – conferences that are currently accepting talk submissions). Included in the qualifying-conferences are leading events like Strata Data Conference, GraphQL Summit, QCon, LondonConnect, Devoxx, Code Motion, VoxxedDays, JavaZone, Gartner Data Analytics, PyConf and more! Receive emails of qualifying Neo4j Speaker Program conferences with open CFPs by submitting your name and email on this speaker submission form. Please note: If you’re interested in receiving notifications about conferences specific to your industry or use case, please fill out the form fields asking for topic title, abstract, locations, etc. Submit your talk to the conference/s of your choosing. Email us to let us know you submitted to a conference (speakers@neo4j.com). If your talk is accepted, email us to let us know! Either we’ll loop you in with a dedicated travel agent to help book your flight and hotel, or reimburse your costs. Need some help solidifying a topic, writing an abstract to pitch your presentation or building a stunning, captivating slideshow? We’re here to help! We also encourage you to use the Neo4j Online Community as a resource, and to learn common questions and topics being posed by the community at large. Karin Wolok has worked for some of the most-renowned individuals and companies in the world, launched a successful professional women’s network in two major cities in the U.S., and developed a consumer concert experience program for the largest global entertainment company. 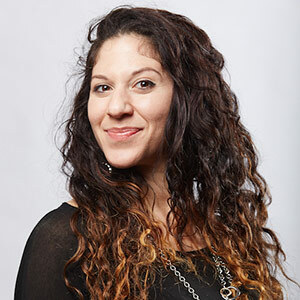 Transitioning her career from entertainment to technology, she became the first hire for a venture-backed start-up company in Philadelphia, where she went from working “rap battles to robot battles.” She found her passion in working with software engineers and programmers. Within less than two years with the company, she became a notable leader in community development within the tech space in Philadelphia. She is motivated by bring success and positive energy to the lives of those around her and prides herself in her ability to network and connect with individuals. And just like in Neo4j, relationships are key!